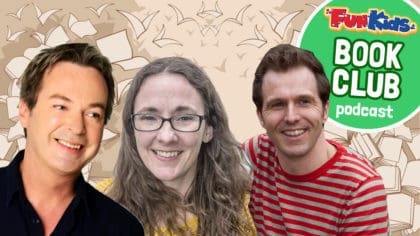 Julian Clary, Christopher Edge and Sophie Anderson in the Fun Kids Book Club podcast with Bex! Listen below or download on your phone or tablet! Bex is back in another great episode of the Fun Kids Book Club podcast, available to download right now! In this episode, Christopher Edge comes in to chat to Bex about his book The Infinite Lives of Maisie Day, and his fascination with science. Julian Clary and David Roberts also pay a visit to talk about the brand new book in the Bolds series and how they come up with their hilarious ideas. Sophie Anderson joins Bex in the studio to tell her all about her brand new debut novel The House with Chicken Legs and how it’s inspired by folk tales. Sophie also sticks around to give us a reading from The House with Chicken Legs and book expert Imogen rounds-up the 5 best books to around right now! Imo looks at everything from the new Stig Book to the The Phantom Lillipop Man and more! Every month, Bex is here for the Fun Kids Book Club where she meets your favourite authors and finds out what makes them tick. They also stick around and read parts of their books for us! 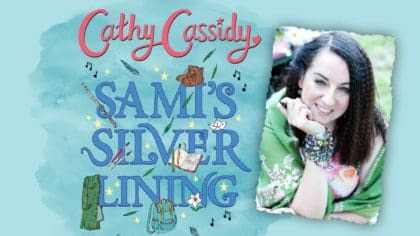 PLUS Bex and friends recommend their favourite kids books of the month!